Where is the Durango Silverton Railroad? Did you know: The city of Durango was founded by the Denver - Rio Grande Railway. Did you know: The railroad was used for the production of motion pictures like Butch Cassidy and the Sundance Kid. The Old West may have been won by soldiers and gunfighters, but it was the mining industry which brought millions of settlers past the Mississippi River to explore the region. The city of Durango, Colorado was founded by the Denver and Rio Grande Railway in 1879; the railroad first arrived there on August 5, 1881 and construction of the line to nearby Silverton began the same year. The rush to the West ensued when gold and silver were discovered in the nearby San Juan Mountains. Over $300 million worth of the precious metals has been transported by the railway. The mines in the region were largely exhausted by 1895. 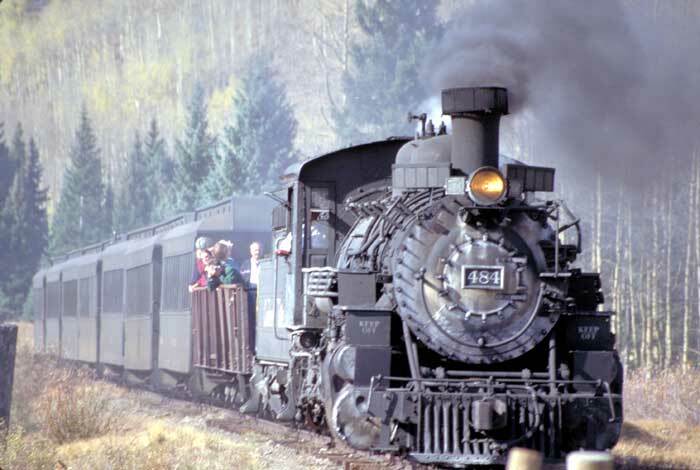 Yet, the Durango to Silverton Railroad continues to take visitors on coal-fired, steam powered trains through beautiful scenery and historic mines. The Railroad was named a National Historic Landmark in the late 1960's.